How Far is Priya's Apsaraa? Priya Promoters is coming up with elegant residential apartments at Kurinji Nagar titled Apsaraa. Each apartment is carefully designed for the best look, beautiful interiors, sufficient ventilation and offered with world class amenities. 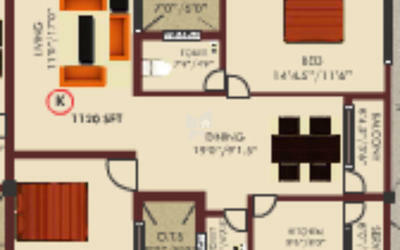 Offered in a range of 2BHK, these are built with top branded floorings and fittings. Framed structure with bricks walls. 2’x2’ Vitrified tiles for entire house and 7’ height glazed tiles for bathroom & toilets. Polished granite slab for kitchen table top with S.S sink and glazed tiles 4’height above the paltform. Open wardrobe in bed room. Store in kitchen. Bookcase in living and bed room with kadappa slab. Teak wood glass windows with grills. Interior emulsion for the walls and enamel paints for doors and windows. Concealed wiring with fan, light, tube points and 5 amp plug point in living, bed room and kitchen, 15 amp plug points in bathroom and call bell point. (Modular switches will be provided). Common overhead water tank for ground water with CP supply fittings for toilet & kitchen. Provision will be made for LPG gas connection for all kitchen. Concealed television antenna point and telephone point. Special amenities as per the requirements of the flat buyer at extra cost. Corpus fund of ? 30,000/- to be paid by the flat buyers and same will be deposited in the name of association for the long term maintenance. Monthly maintenance will be decided by association. Automatic lift with power backup. Sales tax, Service tax, EB 3P. UGD, Registration, House taxes etc. Srirangam Priya Promoters Pvt Ltd, a successful construction company with years of great experience in the field of construction, layout, and highway. Mr. A Francis is the managing director of the company who is in the construction field since from 1998. The company is led by a highly experienced management team who has a project which comprises a constructible area of about one million sq. ft. in addition to this several other projects in the pipeline. Srirangam Priya Promoters Pvt Ltd is known for the goodwill, quality and timely completion of the project. Priya's Sudarshana is an example of excellent work done by the company, it is located in Srirangam. 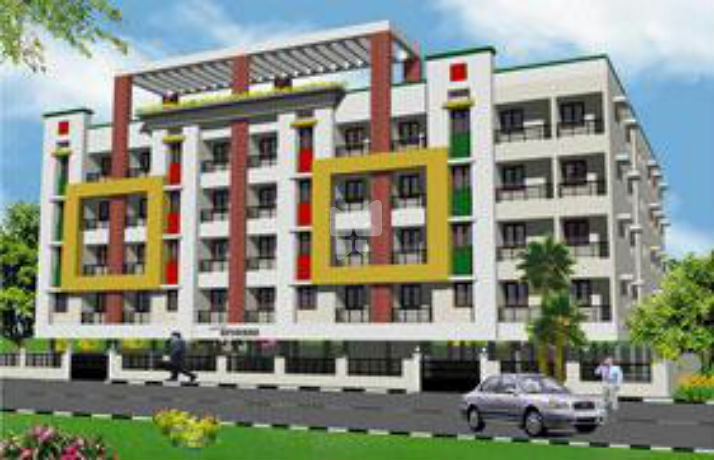 Till now Srirangam Priya Promoters has constructed many projects some of them are Priya's Apsaraa, Priyas Raj Park, Priya's JF Homes, Priya Amrtha, Priya Sharvesh, and the list goes on.